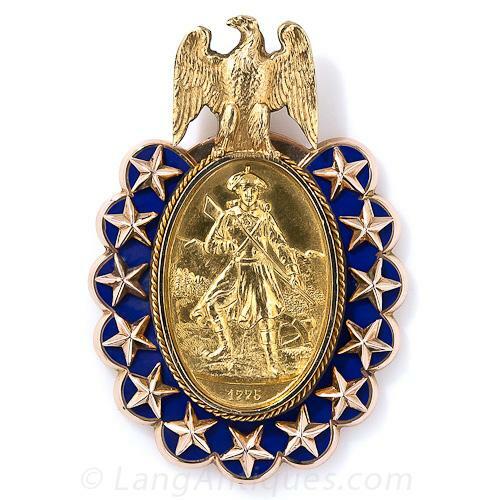 Bailey, Banks & Biddle “Sons of the (American) Revolution” Pendant. A medallion is a type of pendant. Usually tablet-like, they are most often circular or oval and can be decorated in a variety of ways: enameled, engraved, set with gemstones, cameos or intaglios. They can hang from a chain or be suspended from a brooch. Alternatively, some medallions are permanently affixed to a larger object such as a cigarette case or necessaire.